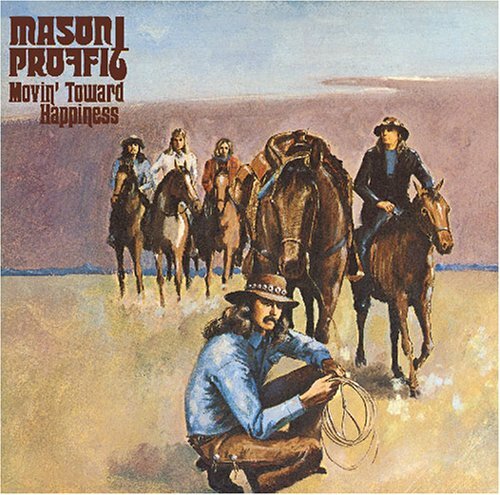 I wrote about them a few entries ago, but Mason Proffit was the band assembled by the Brothers Talbot back in the late 1960s. They put together a country-rock sound that was fundamental to a number of very successful bands that followed them. The brothers became Christians and moved on to other projects, coming together for a couple of records and then departing to walk their individual paths. I like their music. Movin’ Toward Happiness arrived this afternoon. I immediately put it in the computer to rip to flacs and MP3s. 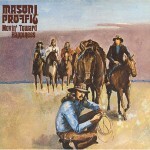 I will collect all of the Mason Proffit records, at least the main records. (I’m not sure the compilations/re-releases will work for me.) This is music I should have had decades ago. There is a certain sadness that goes with this work. For one I remember all the times this music was part of my life not long after we were married. There’s poignancy there. Second, I’m reminded that things change, people grow, and nothing remains the same. Young Son and I were remarking about the changes in our lives this evening. We miss Wife/Mom, but we move along trying to make a good life without her. I think none of us like it much, but it’s what we do. With practice, I think it will get better. We’ll keep after it.